Quiz: Are These Comments About the 2001 iPod or 2010 iPad? 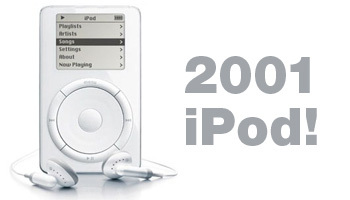 We pulled 11 comments from the 2001 release of the iPod and the 2010 release of the iPad. Can you tell which is which? Quick quiz: Is this quote about the 2010 iPad or the 2001 iPod? Never before has a device–not even an Apple device–been so hyped before launch. We worked ourselves into such a fervor that we forgot how unimpressed so many people were with Apple’s earlier, next big “one more” thing. As the hype from the debut dwindles, we’re watching people begin to wonder whether the iPad’s greatest innovation has yet to be revealed. Some have speculated that it will transform e-reader capabilities or revolutionize gaming or maybe it’ll change the way we consume Web content. Others have focused on Flash (or a lack thereof). But what’s most important to remember is that we’ve been down this road before. That quote above? That was made just after the 2001 Apple event where Steve Jobs introduced the 5GB iPod. Perusing our nine-year-old responses to the iPod reminds us that we may not realize the iPad’s full potential until it sinks into the market a bit. But if you still think the iPad is an all new level of hype for Apple, click through our quiz and see if you can tell which of the following comments are from the 2001 iPod launch or the 2010 iPad launch. Good luck! 1. Is this quote about the 2010 iPad or the 2001 iPod? maybe that thing is not revolutionary…but it shows best at what Apple excels over and over….DESIGN… this thing is so damn beautiful, that i’m already thinking about wanting one (not buying, wanting one! )…this is almost a sexual thing..
2. Is this quote about the 2010 iPad or the 2001 iPod? Yes, it could have had more ability, but for the price, it’s excellent. 3. Is this quote about the 2010 iPad or the 2001 iPod? APPL is already down $1.00. Looks like the markets aren’t looking too favorably on Apple’s new forays into the digital device market. 4. Is this quote about the 2010 iPad or the 2001 iPod? 5. Is this quote about the 2010 iPad or the 2001 iPod? 6. Is this quote about the 2010 iPad or the 2001 iPod? 7. Is this quote about the 2010 iPad or the 2001 iPod? 8. Is this quote about the 2010 iPad or the 2001 iPod? iPoop…iCry. I was so hoping for something more. 9. Is this quote about the 2010 iPad or the 2001 iPod? I must admit, this is exactly what I expected it to be. be pushed by many companies not just Apple. 10. Is this quote about the 2010 iPad or the 2001 iPod? It’s at least as good as I was expecting. Having to wait so long to buy one is unfortunate. Apple will sell a ton of these. I’ll be buying 2. 11. Is this quote about the 2010 iPad or the 2001 iPod? The iPad is very much like the original iPod. It didn’t do a whole lot at first, but after only a few years it grew and grew into an amazing product. needs or wants which only complicate the device. This is the same way. The iPad is ok. 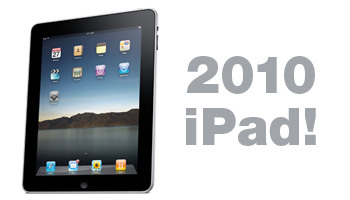 The iPad 3.0 will be a must-have item.